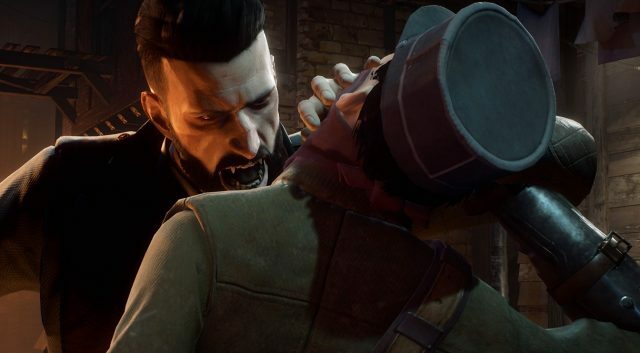 Dontnod Entertainment's Vampyr is set to receive an update with new game modes. Publisher Focus Home Interactive announced that the update will add replayability for existing players, while also adding more options for newcomers. The new story mode will put a greater focus on the games story and "de-emphasizes combat", making the game a bit easier for beginners. For those wantiing something a bit more brutal, a challenging hard mode that cranks up the difficulty will also be available. Dontnod will also add "a host of optimization tweaks" which should hopefully lead to a smoother experience for players. We enjoyed Vampyr when it release last month, with Chris saying "Vampyr is the type of game I love. It’s niche, takes a few risks, and travels a darker, less explored path. It may stumble in the dark a little, and some of the rougher edges can snag and pull you off the path from time to time, but the journey is exciting, fresh, and always interesting. We need more games like this, and I have no hesitation in recommending it to anyone looking for something just a little bit different who is willing to look past its flaws and comparatively small budget." Order Vampyr now at Mighty Ape.